Tiny Town is now open for business. It occupies the entire upstairs and is a place for all the "littles" to romp and play. Since Tiny Town is now open, we will be separating by size. 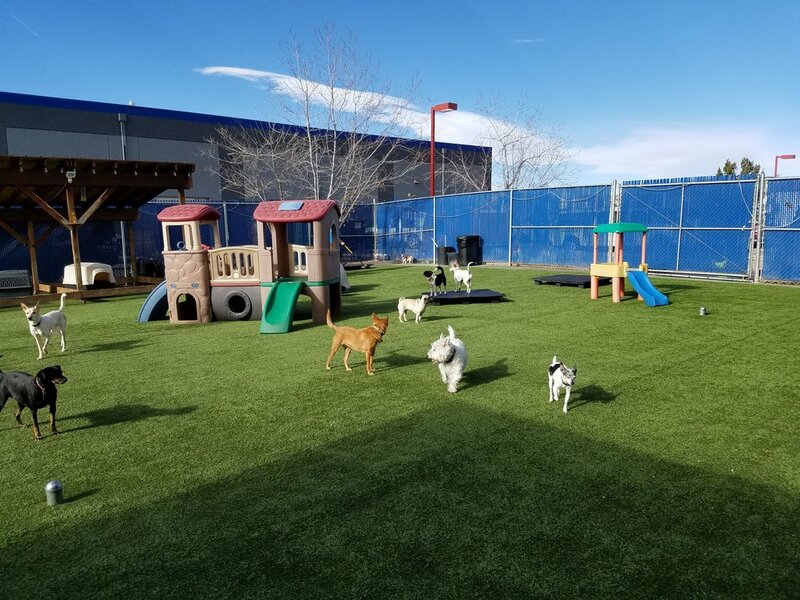 Typically dogs under 20 pounds will stay and play in Tiny Town. We may also allow older dogs to hang out up there if they don't like the hustle and bustle of the downstairs crowd. We will also now allow toys in Tiny Town, as long as the group can play nicely with them. We have various types of rubber balls and toys that the dogs cannot easily destroy. The main downstairs play areas will continue to remain a toy-free zone. We just put a new webcam up, come check out Tiny Town!